We’ve listed 11+ essential flat and minimal apple device, UI and UX vector icon sets – all completely free and available to download in just a few clicks. 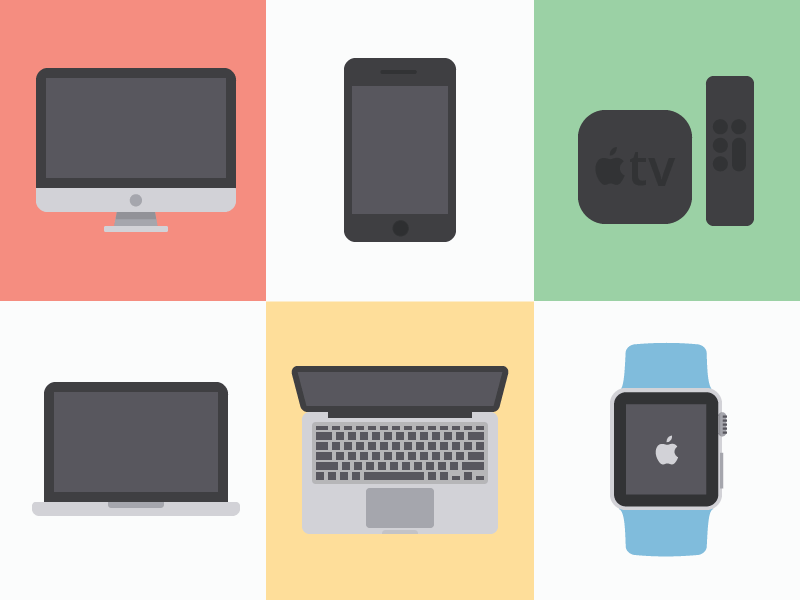 These Apple vector icon sets include the companies devices and interfaces rendered in a contemporary, minimalist style that’s well-suited to flat design web and print projects. Each high quality sets includes iPhones, Macbooks, Apple watches available to download in SVG, EPS or Illustrator format. You might also want to check out the lists of free, flat camping and fashion vector icons. 46 awesomely minimal Apple product line Icons created by Yaroslav Samoilov. A really handy set of 11 icons that cast Apple interfaces in a smart, versatile, minimalist style. A collection of iPhone vector icons in 10 variants that each play with the screens framing and flat-style, line composition. A huge collection of 50+ Apple Watch icons with alternating clock and home screen faces.